The medical community is scrambling to try to encourage consumers to get their immunizations. Recent studies have suggested making exemption policies more “difficult,” citing the return of diseases like measles and mumps. And they may have a point. 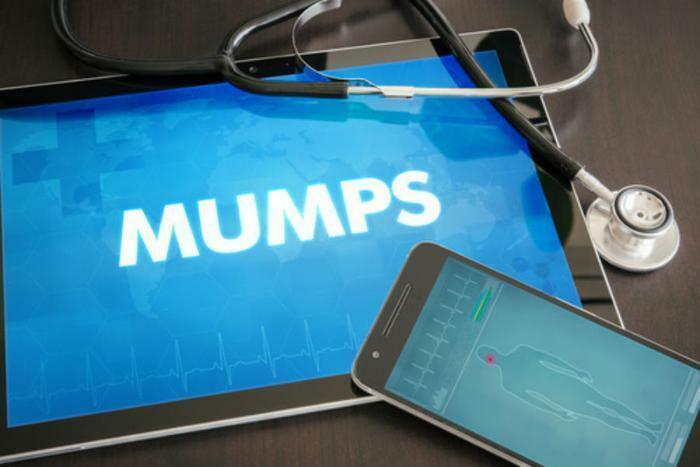 Earlier this year, a mumps outbreak spread across five counties in the state of Washington, infecting hundreds of people. And now, the Texas Department of State Health Services is issuing an advisory for the mumps, saying that cases have reached a 20-year high. “The Texas Department of State Health Services (DSHS) is advising health care providers to be on alert for mumps in their patients as the state experiences a 20-year high in mumps cases. State, regional and local health departments are currently investigating multiple outbreaks throughout the state,” the agency said in a release. The recent uptick in mumps is certainly troubling. DSHS says that Texas has had 221 mumps cases this year, which is the largest total since the 234 reported cases in 1994. The agency states that one potential outbreak has been tracked to South Padre Island, which is a popular spot for students on spring break. DSHS was notified of 13 mumps cases connected to people who visited the island between March 8 and March 22. Mumps is a highly contagious disease that is spread from person-to-person through coughing, sneezing, and the sharing of cups and utensils. Symptoms include swollen or tender salivary glands, swollen or tender testicles in men, low fever, fatigue, and muscle aches. Symptoms usually manifest 16-18 days after a person has been exposed to the virus, but reports indicate that the incubation period may last up to 25 days. Consumers who believe they have been infected by mumps are urged to contact their healthcare provider immediately and to stay home so that the infection is not spread. Currently, the mumps vaccine is the best way to prevent infection; officials state that it is 88% percent effective. Apart from that, consumers can help prevent the mumps by covering their mouth and nose when sneezing and coughing, washing their hands frequently with soap and water, and not sharing food and drinks.